the Federal Court of Justice (panels of five professional judges), which acts as supreme court in civil litigation and decides on further appeals. Cases at the higher regional courts and the Federal Court of Justice are allocated on the basis of subject matter, thereby allowing the different panels to develop a thorough expertise in different fields. In addition, certain regional courts have exclusive entry level jurisdiction within a federal state for certain subject matters, eg, the regional court of Düsseldorf for disputes regarding intellectual property in North-Rhine Westphalia (Düsseldorf is regarded as Europe’s most important venue for patent litigation as about 50 per cent of all European cases are handled there). Judges are selected from the top graduates by an independent commission mainly (but not only) on the basis of academic qualifications. They are highly esteemed and regarded as incorruptible. After reunification, the whole East German judiciary was replaced and taken over by West German professionals. The percentage of female judges increases from year to year (45.40 per cent as of 31 December 2016 in civil courts; in 2016, of 114,003 law students, 63,000 were female). In civil litigation there are no juries. At larger regional courts there are particular ‘mixed’ panels for commercial matters in which one professional judge and two juror-like lay judges with knowledge of business and commercial practices decide together. if necessary, to render a well-structured judgment including finding of facts and an analysis of legal issues. The standard limitation amounts to three full calendar years, beginning on 1 January following the point in time when the creditor becomes aware or ought to have become aware of the circumstances giving rise to the claim and of the identity of the person liable. However, after a certain time all claims become time-barred irrespective of the creditor’s knowledge (mostly after 10 or 30 years). For certain claims there are particular rules and the standard period does not apply at all. Limitation is suspended, for example, when negotiations are undertaken by the parties, where one party agrees to look into the matter or where the creditor takes legal steps such as a legal action (a simple warning letter is not sufficient). The parties may agree to prolong the limitation period, but not beyond a period of 30 years. In Germany, there is no pretrial discovery or disclosure or other pretrial procedure. Disclosure claims will have to be based on substantive law, such as the shareholders’ right of inspection of the company’s commercial books. The primary source of information is the material and information already held by the respective parties. A lawyer is not expected to distrust his or her own client. He or she will acquire additional reliable information by consulting public registers and researching various media. As to a compulsory conciliation attempt, see question 35. Firstly, the claimant files a statement of claim with a court. The claimant’s motions determine the type of action and relief requested (see question 13). The statement of claim will also present the factual basis for the claim plus possible means of evidence (mostly copies of documents, names and addresses of witnesses and request for a neutral expert opinion). Before the court will effect service of the statement of claim and of the first court order on the defendant - by which the lawsuit becomes legally pending - the claimant will have to pay the full court fees of the first instance proceedings. If the defendant has its domicile abroad and does not speak German, the court will also ask for the costs of the necessary translations. there are strict deadlines to present an appeal or a further appeal. if the court deems necessary to take evidence or new issues arise that need further discussion, it will fix further hearings. Otherwise it will render its judgment. According to data for 2016, the average length of civil proceedings at first instance was 9.8 months before regional courts and where the court was required to issue a judgment, 15 months. Commercial cases that started at a regional court and were appealed to a higher regional court took altogether 28 months (32 months with a judgment). According to the World Bank’s report Doing Business 2018, it took on average 499 days to enforce a commercial contract in Germany. There is no case management conferencing and the parties have no possibility to shape the procedure. The timetable is fixed by the court at its discretion within certain statutory limits (see question 6). The parties must comply, but may apply for the extension of deadlines or the postponement of hearings. Courts usually grant a first extension quite generously, but request the other party’s consent for further extensions. The parties can agree that the proceedings shall be stayed to have settlement negotiations or for other relevant reasons. on the other hand, the Federal Court of Justice highlights the principle that no one is obliged to provide the opponent with material that will support the opponent’s case. As a result, a party will often have a lack of knowledge about the other side’s facts. To counterbalance this deficiency, the Federal Court of Justice will allow a party to state that particular facts are true even if the party only assumes that such facts are true and try to prove them using witnesses or neutral experts, or - in limited cases - shift the burden of proof (‘secondary burden of proof’). Since a reform in 2002, German courts can, at their discretion, order a party to submit documents and similar objects (photos, etc) that are in its possession. However, this power of the courts is very seldom applied. The idea is not to give one party the opportunity to gain information held by the other party, but to help the court understand the issues in dispute by clarifying questions that arise. As there is no concept of discovery under German law and no duty on the parties to present all documents relevant to the dispute, there is no need for legal privilege in such cases. There is, however, testimonial privilege: where lawyers act as counsel they can refuse to give evidence as a witness unless their clients grant their consent. It is disputed whether testimonial privilege also applies to in-house lawyers. In 2005 the Regional Court of Berlin denied such privilege. Section 5.3.1 of the CCBE Code of Conduct, which requires lawyers not to disclose to their own clients correspondence of the opponent’s lawyer if marked as ‘confidential’, contravenes German law. A German lawyer is obliged to pass on to his or her client all information and correspondence related to the case. However, if a foreign lawyer asks a German lawyer to have talks or correspondence ‘without prejudice’, the German lawyer is obliged to inform and ask his or her client about such proposal and - depending on the client’s decision on the matter - give a clear answer to the foreign lawyer whether ‘without prejudice’ talks or correspondence are possible or not. are relevant as to the outcome of the claim. There are no sequence rules as to which evidence has to be taken first. The court will decide this according to logic and effectiveness. Generally, witnesses must be examined orally. The impression of witnesses’ oral testimony is deemed to be most relevant in evaluating the credibility of their statements. The presentation by the parties of a written testimony (affidavit) is almost only possible in proceedings for interim remedies. The examination of witnesses is mainly performed by the judge. After introductory questions to the witness (age, profession, relationship to parties) and a briefing regarding any possible privilege (family privilege, etc; see also question 9) and his or her duties as witness, the judge will start asking more general questions in order to permit the witness to tell the full story. The questions will then become more and more specific. The examination of the witness often resembles a pleasant conversation. From time to time the presiding judge will dictate a summary of the testimony into the dossier, while the lawyers will pay attention to ensure that nuances important for their case are rendered correctly. Thereafter the parties can conduct supplemental questioning. The party’s lawyer that named the witness will start. It is rare that the court interferes and excludes irrelevant or redundant questions, but there is no culture of cross-examination. There is no witness conferencing. Witnesses are heard one after the other, but may be heard repeatedly to face them with other testimonies. Experts are appointed by the court to assist the court in determining the facts. The court selects the expert. Most commonly, the expert will have to prepare a written opinion, which will be circulated to the parties. If necessary, the court will ask the expert to supplement it with additional considerations to clarify certain issues or to reply to the parties’ comments. If requested, the court will schedule a hearing at which the parties can confront and interrogate the expert. If the court deems the expert opinion to be deficient, it can ask the expert to prepare a new one or appoint another expert for a second opinion. Two forms of interim remedies are available while proceedings - including foreign proceedings - on the merits are pending or imminent: freezing injunctions and preliminary injunctions. The defendant is prohibited from disposing of his or her assets (up to the claimed amount). Freezing injunctions are only available in order to secure monetary claims or claims capable of becoming a claim for the payment of money and in order to prevent a possible attempt to frustrate the enforcement of a future judgment. The frozen assets serve as security. In practice, it is quite difficult to obtain a freezing injunction. The fact that the debtor already has financial difficulties is not a valid reason. It is necessary to show that the debtor will take a dishonest or unfair course of action to elude future enforcement. In theory, the claimant may also ask that the debtor be taken into personal custody. In practice, it never happens. These secure all types of non-money claims against irreparable injury until such time as a final judgment on the merits is entered. The court has the discretion to decide the precise detail of each injunction according to the circumstances of the case. There are no search orders under German law. where such actions are not possible, for example, if the claimant seeks compensation, but the damage is still evolving, the claimant may ask for a declaratory judgment. German law is hostile to the very concept of ‘punitive’, ‘exemplary’ or ‘penal’ damages. They are regarded as contrary to German public policy: punishment must only derive from public prosecution under criminal law with its particular procedural safeguards. A money judgment bears default interests until payment. real property is sold at a public auction or administered in favour of the judgment creditor through a court appointed administrator; the judgment creditor may also request a mortgage in the land register. A cease and desist order will be enforced inflicting pecuniary sanctions (maximum €250,000) or alternatively a prison term (up to two years). The same applies for an order to perform acts that can only be performed by the debtor. If that act could be performed by a third party, the court may authorise the creditor to have a third party performing the act at the debtor’s expense. At the claimant’s request the court will order the defendant to pay an advance on the costs. As a general rule, court sessions (hearings, taking of evidence, pronouncement of judgments) are open to the public. The public may be excluded by the court to protect business secrets or privacy-related interests. The court’s dossier of the proceedings containing all documents is open to inspection for the parties’ counsels and for third parties having a legitimate interest, but not for the public. The courts assess the costs pursuant to the ‘loser pays’ rule: the losing party has to bear all costs of the proceedings. This includes the other party’s legal fees up to the statutory amount and all reasonably incurred expenses as well as the statutory court fees. In a split judgment, where both parties are partly successful, the costs will be split proportionately to the outcome. There are no wasted costs orders to impose liabilities on lawyers whose conduct has been improper or negligent. Also, there are no other kinds of increased costs orders against parties who have behaved unreasonably. It has no consequence if a party refuses an acceptable settlement. However, a successful defendant who did not appear at a hearing that resulted in a default judgment (later set aside) has to bear the costs of the default judgment and the additional hearing. In addition, even a successful party may be ordered to pay for costs caused by single arguments or defences it raised unsuccessfully (eg, costs for hearing witnesses who did not confirm such party’s pleadings). Claimants who have their habitual residence or, in the case of companies, their seat in an EU or EEA state are not subject to any obligation to provide security for the costs of the proceedings. the claimant owns sufficient property in Germany (or other types of asset considered to be secure) to cover the costs of the proceedings. A defendant that files a counterclaim will be exempt from any security for costs hereby caused. The amount of security to be provided is fixed by the court at its discretion. If the claimant does not provide the security, the court will upon the defendant’s motion declare the action to have been withdrawn or dismiss an appeal filed by the claimant. The statutory provisions encourage lawyers and their parties to negotiate lawyers’ fees. However, lawyers are prevented from charging less than the statutory fees for trial work. In addition, ‘no win, no fee’ agreements or ‘success fees’ were strictly forbidden in Germany. The legislator regards success fees as possibly dangerous because lawyers who have their own personal economic interest in the outcome of a claim may be tempted to act unethically. Moreover, there is the perception that success fees contradict the idea of a level playing field because only a claimant, and not a defendant, can rely on a success fee agreement. However, following a ruling by the Federal Constitutional Court, success fees can be agreed in cases where the client would otherwise be prevented from litigation for economic reasons. There are several companies specialised in third-party funding. The requested share of any proceeds of the claim varies considerably (10 to 75 per cent). It is not customary that a claimant sells some proportion of any recovery to investors in return for a fixed upfront payment, or that a defendant pays a fixed sum to offset a proportion of any liability. Insurance to cover specifically litigation costs (the party’s own and opponent’s costs, but limited to statutory fees) is available and quite common for private people, but not so much for commercial litigation. Other insurance schemes (eg, for professional or product liability and D&O) also cover litigation costs. Companies quite often have insurance covering costs for labour law disputes. Under German law there are no US-style class actions. Several claimants may start an action jointly, if they have similar claims, but are still treated individually. 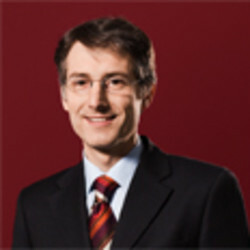 In 2005, and limited now to 1 November 2020, the German legislator introduced ‘model case proceedings’ regarding disputes under capital markets law. A model case proceeding allows joining at least 10 proceedings having the same legal issue in dispute (English version at www.gesetze-im-internet.de/englisch_kapmug/index.html). It is presently discussed to have such model case proceedings also in other cases of disputes. Each judgment of a court of first instance can be appealed against, if the value of the contested issues exceeds €600. Appeals can be based on points of fact and law. In principle, an appeal court will review the appealed judgment on the basis of the facts established at first instance, and the parties can only bring forward new arguments and new evidence if they could not have done so at first instance or if new statements are uncontested. The appeal court is, however, free to evaluate evidence or to interpret an agreement as it sees fit. It may also decide to repeat the taking of evidence, for example, by hearing the same witnesses or gathering additional evidence. A further appeal to the Federal Court of Justice is possible (except for injunctions) if the appeal court has explicitly granted a further appeal or the appellant can show that the issue raised by the further appeal is of fundamental significance, namely, that it is necessary to further develop the law or to secure consistency in court rulings. In the latter case the value of the contested issues must exceed €20,000. The scope of the further appeal is much narrower than that of an appeal trial because the facts duly established in the preceding courts will remain the basis for the re-hearing of the case. The Federal Court of Justice only reviews points of law. In contrast to an appeal court, the Federal Court of Justice is not independent to evaluate evidence if the appeal court has evaluated the evidence without any logical error. German courts are obliged to inform parties not assisted by lawyers about remedies available to them against court decisions. Judgments from EU courts or from Switzerland, Norway or Iceland will be recognised under the EU Brussels Ia Regulation and the Lugano Convention without the requirement of any special procedure (however, a judgment will not be recognised if the recognition is manifestly contrary to German public policy). To enforce a judgment of a court of an EU member state in another member state it is not necessary to obtain an enforcement judgment or a declaration of enforceability. Such judgment can be enforced with the same authority as a German judgment. US judgments granting punitive damages are unenforceable because they are deemed contrary to the clear separation between civil and criminal proceedings in the German legal system. Courts of EU states (except Denmark) may directly request German courts to take evidence under the EU Evidence Regulation No. 1206/2001. Requests are executed in accordance with German law. However, if the requesting court calls for the request to be executed in accordance with a special procedure, the German court must comply with this requirement unless it is prevented by legal or practical obstacles. Witnesses may rely on rules of privilege under both German law and the law of the country of the requesting court. With respect to, inter alia, the US, China, Switzerland and Turkey, the Hague Evidence Convention of 1970 applies, which eliminates the cumbersome diplomatic channels. The German authorities may refuse execution of a request only on limited grounds. In particular, execution will not be denied because the claim is for punitive damages. general principles of judicial assistance involving long-winded diplomatic channels. A request for discovery of documents will not be executed. Germany adopted the UNCITRAL Model Law in 1998 with some minor modifications (an English translation of the German provisions is available at www.dis-arb.de). the issuance of a bill of lading, if it expressly refers to an arbitration clause in a charter party. Stricter rules apply with respect to arbitration agreements to which a consumer is a party. There will be three arbitrators (each party appoints one, the two party-appointed arbitrators appoint the chairperson). If a party fails to appoint the arbitrator or if the two arbitrators fail to agree on the third arbitrator, the appointment shall be made, upon request of a party, by the court. A written statement explaining the reasons for a challenge must be sent to the arbitral tribunal within two weeks after becoming aware of the constitution of the arbitral tribunal or after becoming aware of any circumstance that justifies the challenge. If a challenge is not successful, the challenging party may request within one month a court to decide on the challenge. German law does not provide any particular requirements for becoming an arbitrator such as minimum age, particular professional training or nationality. Hence, the parties are free to make their choice (as long as they choose independent and impartial candidates avoiding the risk of challenges). The parties may, however, agree on any qualifications to be required from the prospected arbitrators. In the majority of cases, no particular qualifications are specified by the parties. The most common qualification requirement to be found in arbitration agreements is that the arbitrators or at least the chairperson must have completed the standard legal education that is necessary to become a judge or a lawyer. Sometimes particular non-legal know-how is required by agreement of the parties. Language skills are also an issue (ie, the requirement that in addition to the language of the arbitral proceedings the arbitrators may have command of a second language in order to avoid certain documents needing to be translated). In international arbitration a provision according to which the chairperson shall not have the same nationality as one of the parties is also quite common. The different nationality is also an aspect that shall be taken into account by a state court if it is to appoint a sole arbitrator or a chairperson. There is quite an active arbitration scene in Germany and certain specialised lawyers, (former) judges and university professors provide regular services as arbitrators. Arbitrators for certain particular fields may concentrate in certain cities (eg, banking law in Frankfurt am Main, maritime law in Hamburg and IP law in Düsseldorf). Different institutions provide lists of possible arbitrators from which the parties may choose. The German Institution of Arbitration (DIS) organises regular conferences and training sessions and cooperates with a major German publishing house in publishing the German Arbitration Journal (Zeitschrift für Schiedsverfahren - SchiedsVZ). it is prohibited to exclude that the parties may be represented by counsel. enforce an interim measure ordered by an arbitral tribunal. The arbitral tribunal or, with the approval of the arbitral tribunal, a party may request a state court to assist in taking evidence or perform other judicial acts that the arbitral tribunal is not empowered to carry out. Yes. In arbitration proceedings state courts and arbitral tribunals have parallel jurisdiction as to interim relief. There are no statutory time limits for rendering an award. The award shall be made in writing and signed by the arbitrator or arbitrators (the signatures of the majority is sufficient, if the reason for any omitted signature is stated). The award shall state the reasons upon which it is based, unless otherwise agreed by the parties. The award shall state its date and the place of arbitration. violation of public policy such as EU antitrust law. Matter jurisdiction is with the higher regional court. Its decision can be appealed to the Federal Court of Justice. If no more favourable treaty applies, Germany recognises and enforces all foreign arbitral awards according to the New York Convention 1958, irrespective of the country of origin. US awards granting punitive damages are regarded as contrary to German public policy and, therefore, unenforceable. Domestic awards must be declared enforceable. The competent higher regional court will refuse enforceability and set aside the award if one of the grounds therefore exists. Where the parties have not agreed on the recovery of costs, the arbitral tribunal decides at its discretion on the amount of costs it deems reimbursable and on their allocation. Generally, German arbitrators will tend to apply the ‘loser pays’ rule used in state proceedings (see question 16). Arbitration, particularly under the standard arbitration rules of the German Institution of Arbitration (the DIS rules), and expert determination are regularly used in Germany for commercial disputes. There are no comprehensive figures as to the use and success of mediation in Germany. The construction industry uses mediation more than any other industry. Many contracts for complex construction work provide for conciliation or mediation within ‘multi-step’ or ‘escalation’ clauses. Early neutral evaluation is uncommon in Germany. In general, no. In 1999 the federal legislature introduced a provision under which individual states may require the completion of a conciliation procedure through a certified conciliation body before starting petty litigation (up to €750). In other particular cases (eg, with respect to employee inventions or certain copyrights disputes) prior conciliation procedures are also compulsory. The European directive on mediation 2008/52 which is intended to promote the use of mediation in cross-border disputes throughout the whole EU, was implemented by Germany in 2012. The German mediation act does not require the parties to make a mediation attempt before starting litigation, but the claimant is expected to explain in its statement of claim whether a mediation has been tried and - if not - why not. Already in 2008 renowned German companies established the Round Table Mediation and Conflict Management of the German Economy (www.rtmkm.de/home/welcome). As of 1 April 2016, Germany implemented the EU Directive 2013/11 on alternative dispute resolution for consumer disputes. Under the new act the consumer is not obliged to first attempt ADR proceedings. If the consumer starts ADR proceedings, the ADR entity will not impose a binding solution on the parties, but will propose a solution within 90 days from having received all necessary information from both parties. According to the World Bank report Doing Business 2018, Germany ranks 22nd out of 190 states as to the efficiency of its commercial litigation system (quality of judicial processes, time and cost to enforce a contract). Similarly, out of 102 countries, Germany ranks fifth in the civil justice system category in the ‘Rule of Law Index 2015’. After a European Court of Human Rights ruling on 2 September 2010, in 2011 Germany introduced a domestic remedy to deal with excessively long proceedings under which €1,200 is granted as damages for each year of delay. In the first two years after the introduction of this remedy, there were 124 claims for compensation, of which 30.68 per cent were successful (compensation ranging between €600 and €8,700). In a battle of brochures, German professionals replied to the brochure England and Wales: The jurisdiciton of choice (published in 2007 by the Law Society of England and Wales) with their own brochure in 2009 (www.lawmadeingermany.de/Law-Made_in_Germany.pdf), which highlights the advantages of a German jurisdiction. In the meantime, major institutional legal players have established an Action Alliance for German Law and in February 2011 published, together with their French counterparts, a brochure (www.brak.de/w/files/05_zur_rechtspolitik/international/broschuere_de.pdf). In January 2018, the regional court of Frankfurt/Main established an English-speaking section. Germany, like some other EU countries, intends to attract more high-value international commercial litigation. The introduction of particular courts for international commercial matters with hearings in the English language is discussed. It is expected that after Brexit, Germany can become a more attractive place for international litigation. However, in recent years, tests with English-speaking German courts were not particular successful. International disputes are not often brought to German courts. In 2016, all the German regional courts acting as entry-level jurisdiction decided only 15,000 cases where at least one of the parties had its seat or residence abroad. As of January 2018, new specialised panels for banking and financing, architectural, construction, insurance and medical matters were established at regional courts and higher regional courts. At their annual conference on 9 November 2017, the federal and state ministers for justice decided to establish additional specialised panels, eg, for IT-related disputes. The coalition parties forming the new government have agreed an ‘action pact for the rule of law’ as part of their coalition agreement. Under this pact, 2,000 judges (over all jurisdictions) shall be employed, plus the correspondent additional support staff. In addition, a push for more investments in technical infrastructure is planned. At the same time, the number of case entries has significantly dropped in recent years. The caseload of the ‘mixed’ panels for commercial matters at larger regional courts has dropped by one third. The reasons are not clear. Strangely, while the caseload diminishes, the duration of proceedings steadily increases. In the next decade, the judiciary will need to replace a large proportion of its staff. Each year, about 650 judges retire. This number will increase to about 1,000 in the next few years. However, annually only about 1,500 law students graduate with good results. As the starting salary of judges is on average €48,000, compared to €87,000 in the legal industry and €118,000 in large law firms, the competition for the brightest brains will become more intense, and it will be difficult for the judiciary to attract the necessary highly qualified personnel on which the renowned quality of German courts relies.